If you’re in the process of paving or re-paving your lot, consider any challenges your project might face. Take a look at the type of soil you’re paving over and any landscaping factors that may determine what kind of asphalt mixture you’ll need. It’s also critical to know what might cause your asphalt to deteriorate prematurely. Make sure your asphalt is draining properly, see if the base below the asphalt is compacted correctly, and if the temperature of your new asphalt mixture will work for your project. Get help from a contractor who can help you evaluate what steps you’ll need to take before you start paving. If you keep your parking lot well-cleaned, you will potentially save money on repair costs in the long run. Schedule a monthly cleaning to remove garbage debris, oil stains, dirt, and leaves from your asphalt. Removing oil and grease spots from your pavement is especially important because fuel stains can worsen the condition of your asphalt more quickly. An important part of your parking lot’s maintenance is filling in the cracks and potholes on your asphalt surface before they spread. Don’t wait to do this – potholes that go unfixed will your overall repair costs and cause your customers grief when they drive over the pavement. Here are the four steps of the pothole repair process: Clean the dirt and debris from the pothole, heat the pothole to remove any existing moisture in the area so that the old asphalt can be reshaped, add in your new asphalt mixture, and allow the repaired pothole to cool. If laid and paved correctly, your asphalt surface can stay in good condition for about 25 years. How can you make your asphalt last? Apply a sealcoat to the surface of your parking lot six months after it’s paved, and again every three to five years. 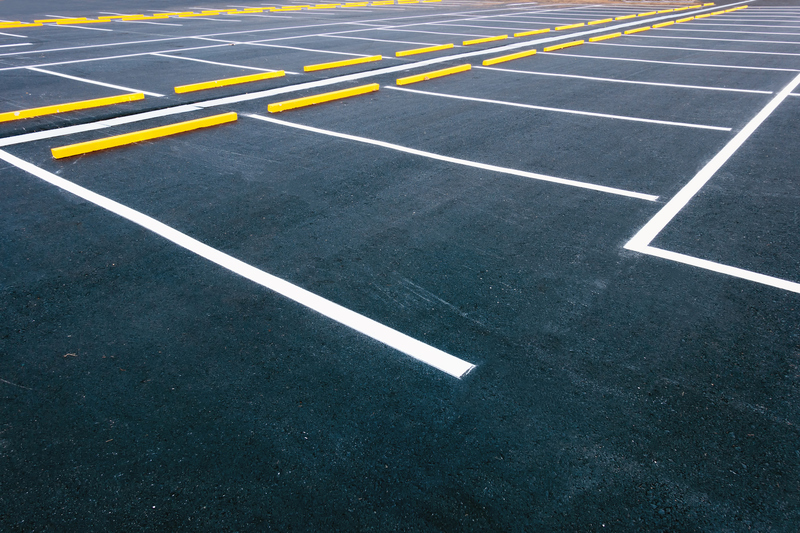 Not only will your parking lot look smooth and clean but the surface of the asphalt will be protected from harmful UV rays, water, and car fluids. Of course, the condition of your asphalt parking lot will heavily depend on who you hire to pave your parking lot. If your parking lot is in need of an upgrade, contact Curcio Enterprises, Inc. to keep it running smoothly year-round. We are a dependable, licensed, and insurance business that has been serving the parking industry since 1975.